So you like your coffee. And drink it every morning. But today, not all coffee is created equal. And you have a ton a choices you can enjoy aside from the same old drink you have every morning. In this article we look at two of the most basic, yet popular versions around. We explain the difference between coffee and espresso. By coffee, we meant to say regular coffee, just to be clear. This way we don’t get confused with all the other types of coffees like lattes, mochas, frappuccinos and others. In this segment, we break down the difference between coffee and espresso. These two are pretty much the base coffee drinks where other beverages like cappuccinos are made from. So they’re both worth taking a bit of time to get familiar with. Regular coffee is enjoyed by pouring hot water through a filter, over coarsely-ground, roasted coffee beans. Espresso coffee are superior blended coffee beans made by pressure forcing very hot steam through them. From the definitions you’ll notice that they’re very similar. Only slight differences among them. 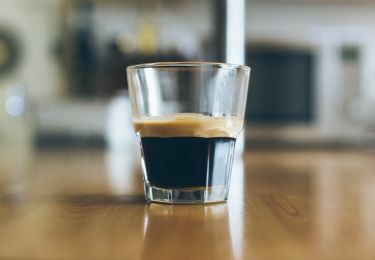 But it’s the slight difference, including the high pressure used in espresso that allows it to have a stronger, bolder flavor compared to regular coffee. Of course, we can’t go through a coffee comparison without giving you a demonstration video on how coffee is made. This particular video shows you how regular coffee is made. It does not require a coffeemaker, nor does it make use of instant coffee packs. Instead you brew your own coffee the traditional way. In order to make a fair comparison, we also have included a video demonstration of how to make your own espresso at home. The video shows you step by step how you can enjoy espresso without needing an espresso machine. Yes, you can make espresso without the machines. Here’s how. All you need is a cooktop and a stovetop espresso maker. Hopefully, the two videos will show you the subtle differences between espresso and coffee better. Regular coffee is generally the equivalent of an 8 oz. cup, while espresso coffee is slowly poured into a demitasse cup (1 oz. shot). On average, a regular cup of coffee contains about 100 to 120 milligrams of coffee and an espresso contains around 50 to 80 milligrams per shot. The amount of caffeine can vary a lot depending on the brand of coffee you get or which coffee shop you buy it from. But in general, home brewed coffee and espresso have less caffeine than those you get in Starbucks or other coffee shops. Regular coffee and espresso coffee also have different caffeine contents. 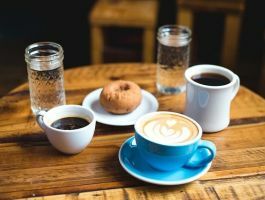 According to the National Coffee Association of U.S.A., a regular cup of coffee contains an average of 95 milligrams, with a range of 75 to 165 milligrams. An espresso cup of coffee can contain around 60 mg to 100 mg. It is understandable to think that the cup size is the reason why espresso coffee has less caffeination. But when you are drinking more than one small serving cup of espresso, you are consuming more caffeine per cup. The coffee beans that are used in espresso and regular coffee are also different. However, much of the difference is in their preparation. Espresso coffee beans are roasted differently. The beans are roasted until they are very dark and releases the oils that emanate from it. The result is a rich blend that is thicker than regular coffee. Regular coffee beans are also roasted, but for a shorter timeframe. They are grounded into a coarser grind or texture. This means that if you plan on making espresso at home, you shouldn’t buy regular coffee beans or grounds. Instead, make sure to get those that are designed for making espresso. This is a common mistake beginners find themselves doing. 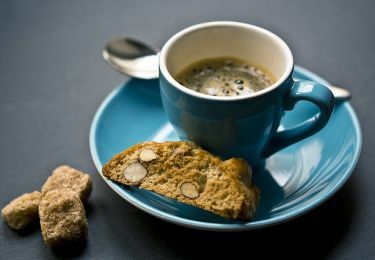 The Espresso Specialty Coffee Association of America describes a cup of espresso as a strong well-balanced flavor between sweet, nutty and bitter. Espresso coffee is described as full body of flavor, especially with the crema. The joy of a regular cup of coffee is that it can be enjoyed in a variety of flavors. Regular coffee is described as producing a clean and delicate flavor, plus it is lessened in acidity. A recent 18 year research study by Harvard University has shown that coffee, including espresso drinkers, live longer than non-coffee drinkers. Researchers around the world report that coffee and espresso help to control free radicals that cause cell damage in the body or ageing. The World Health Organization in its independent studies concluded that coffee is no longer considered a carcinogen, in fact it can lower the risk of people developing certain cancers. Espresso coffee and regular coffee also contains anti-oxidants that actually boosts the body’s immune system. But coffee must be consumed in moderation. 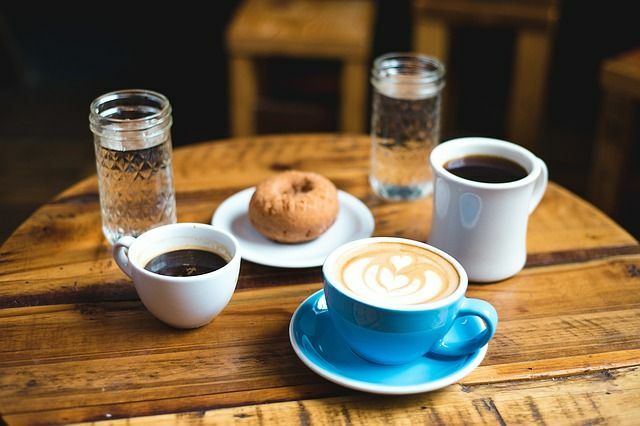 Research institutions advise that drinking coffee and/or espresso, between one and five cups a day, can help in lowering heart disease, neurological disorders and liver disease. Additional benefits of drinking coffee and espresso includes improving memory cognition, reduce the risk of developing diabetes mellitus cells, reduces gallbladder disease conditions, a diuretic and helps to prevent constipation. The difference between coffee and espresso is very slight. They both have more in common than any differences and when it comes down to it, drinking either depends more on an individual’s taste buds. However, depending on which flavor profile you like more, you’ll probably favor one over the other by quite a bit. 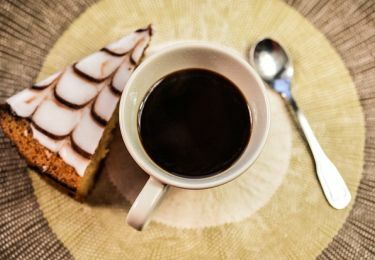 Why Does Coffee Upset My Stomach? Is Crystal Light Bad for You? Does Caffeine Affect Breast Milk? Urine Smells Like Coffee: What’s Wrong?